Raymond Baril is Assistant Professor of Music and Section Head for Winds and Brass in the Department of Music at Grant MacEwan University, and, for the past 30 years, he has been the Director of the MacEwan University Jazz Ensemble. He is in his 18th season as Artistic Director and Principal Conductor of the Edmonton Winds and recently has taken on the role as director of the River City Big Band. 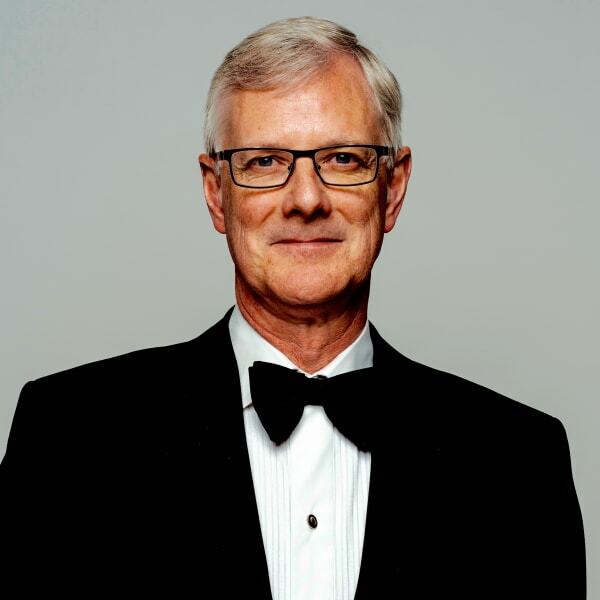 Prior to his appointment at MacEwan University, Raymond was a music educator with Edmonton Public Schools, conductor of the University of Alberta Concert Band, Executive Director of the Alberta Band Association, and worked as assistant conductor for the Cosmopolitan Music Society. Raymond was a regular member of the Tommy Banks Big Band for 25 years and is currently a member of the Edmonton Jazz Orchestra. He has appeared with the Edmonton Symphony Orchestra on numerous occasions as a section member and soloist, as well as a guest conductor. Raymond attended Northwestern University in Evanston, Illinois where he received a Master of Music degree in conducting. He holds undergraduate degrees in both music performance and education from the University of Alberta, and is currently working on his Doctorate in Saxophone Performance at the University of Alberta. Raymond has been the recipient of many awards for his contribution to music and music education including the Tommy Banks Award, presented by the Alberta Foundation for the Arts; and the David Peterkin Memorial Award, presented by Phi Beta Mu.